ponzu Archives - Wots For Lunch? 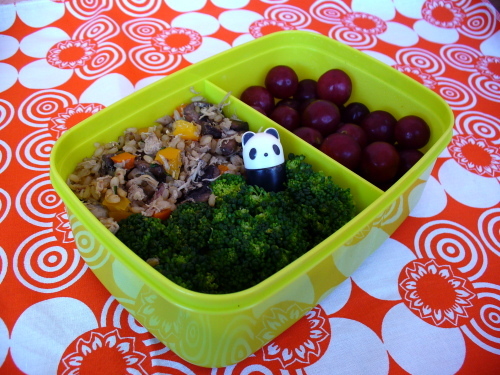 The little panda shaped soy sauce bottle in today’s lunch is part of a small package of bento goodies a friend brought back from Japan for me after a recent visit. I’ve been eyeing these little bottles for awhile, but the price of buying them over the internet is a big prohibiting factor. Especially when I know that they are not that expensive to buy in Japan itself. I feel very lucky to have gotten my hands on some now and am going to have lots of fun using them in the future.